For meeting the needs of students in a Yoga class, three components are central to this topic: the teacher, the student, and the Yoga, itself. All are important; but the teacher is the prime element, with the capacity to facilitate transformation in the student. Most discussions about Yoga teaching tend to focus on the student and the subject of Yoga, with the teacher as a subtext. The most important factor for a Yoga teacher is self-development. The process of teaching is incredibly rewarding because a lot of the experiences are positive; but it is critical to also focus on oneself. One of the most important qualifications of a Yoga teacher is a steady mind and a balanced personality. If the teacher is restless, unstable, and caught within the storms of life and emotional upheavals, then, at the most, he/she can only be a tutor. All over the world, there are hundreds of thousands of Yoga teachers, professors, lecturers, tutors, and masters of Yoga. Apart from transmitting knowledge, these teachers should also give forth their personal vibrations, magnetism, and spiritual qualities. Otherwise, when you attend their classes, you may learn many things which you can discuss afterwards; but when you think about it, you feel that in your spiritual life, or in the realm of your inner personality, you have really gained nothing. 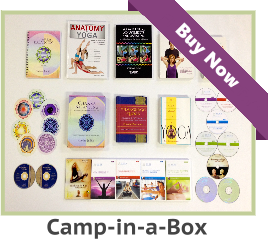 What Can a Yoga Teacher Give You? A good Yoga teacher can give you all his or her experience and knowledge. Knowledge is confined to the intellectual domain. Experience is what enables us to imbibe what we have learned on a practical level. Experience, in Yoga, teaches us how to face the situations of life with peace, courage, and understanding. Life is not a flat plain or a simple path. It is a series of experiences, of ups and downs, which occur on the economic, emotional, and spiritual planes. As Teachers – How do we Want to Maintain our Development? • Yoga teachers should feel that they are really looking after themselves well, and doing what they need to grow and transform. For that, we need to know ourselves, our nature and capacity; what are our likes and dislikes, our preferences, and who we are as universal beings. How good are we at accepting our weaknesses? Self-empowerment requires self-acceptance, which implies acceptance of our strengths and weaknesses. 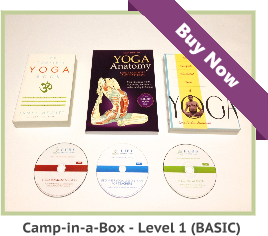 • As a Yoga teacher, one is bound to make mistakes; but whenever we make mistakes, we must learn from them. As teachers, it is very important to have a certain core of maturity, and strength, to accept one’s fault. • It is important to ask oneself as to what is the real purpose of our teaching. We are teaching because we have certain strengths, ambitions, and needs; and unconsciously, these are the things we really want to know. When we teach, we learn the most. 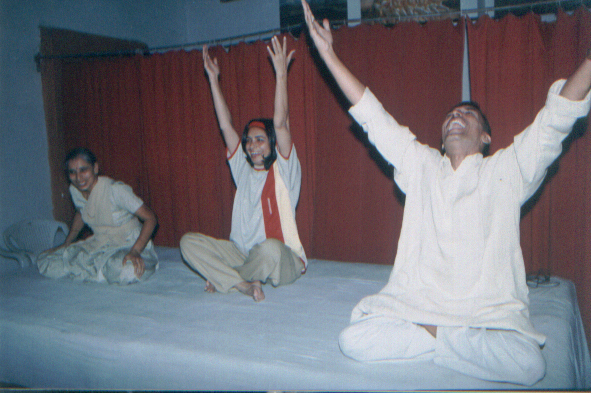 • A teacher needs a powerful Sankalpa to maintain Yoga, as a living flame in the heart, to be a model of Yoga. We may do it anyway, but consciousness of it transforms the intention into a living reality. 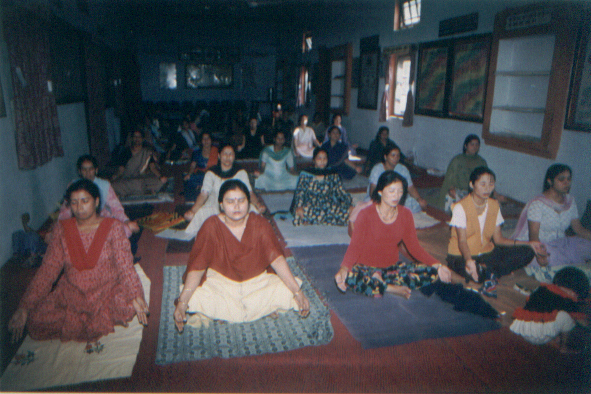 Sankalpa is the essence of Yoga, and it is the ultimate that one needs to achieve as Yoga teacher. 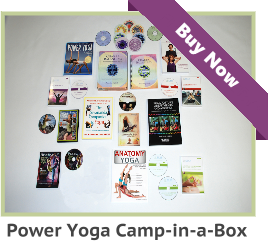 • Teachers need rigorous study, or training in Yoga, and to apply what they have learned. It is also important to feel comfortable, to give ourselves permission to be creative within certain limits, and guidelines. Of course, as teachers, we use certain principles and guidelines, such as concepts of Dharma, and the guidelines of Raja, Hatha or Bhakti Yoga, etc. The more knowledge we have embedded in ourselves, and the more unconscious those competencies become through practice, the more they are expressed as a natural, spontaneous process of relationship and giving. • Studying psychology in Yoga also helps. The more we can understand the mind of our students, the more we have a sense of comfort in dealing with the very situations with which we are most uncomfortable, such as anger, anxiety, hatred, other mental and emotional aspects, and the deeper needs. • Teachers need peer support, supervision, self-review, and to maintain and enhance their skills. Supervision with a mentor can be most valuable. One can talk about one’s darkest impulses and get to know oneself better. You will gradually begin to accept certain limits and will change and modify as per the changing environment. Responses from your students will be more positive, and you would be able to help them much more. Mentors are rare people, who have that knowledge, and are willing to spend time with others. • Teachers must know how to manage difficult people and their different needs. Firstly, we need the capacity to identify the different people in our group. Secondly, we have to develop the capacity to recognize needs in people. Knowing the sort of issues that arise, with different groups of people, will help develop greater discrimination (Viveka). Thirdly, we need to feel that we have a range of techniques available, with which to handle different needs, and strategies for different classes. • There are different categories of people within a group. You will have people who are difficult, who may be very needy, angry, restless, or quiet (quiet can be as provocative as noisy!). You will have pregnant women, and also students who ask a lot of questions. You will have people who are releasing emotions all over the place, and you will have people who have no capacity for catharsis of any kind. You will have people who want spiritual guidance. There will be people with different mental illnesses – anxiety, depression, schizophrenia, and so on. There will be students with different physical illnesses, such as back, neck, or joint problems, digestive ailments, heart conditions, asthma, etc. Some situations will be acute and short term, and some chronic. Of course, the major issue facing most teachers is that classes include people with different ranges of skill and experience. Some have been practicing Meditation for years, while some do not know that their mind exists! Get to know your students, and tailor general principles to each individual. • We get a lot of information about our students, through our observational powers, and we can develop that ability through Meditation. If our sensitivity is strong, it is a gift; but if we are not strong, it becomes a burden. We can develop observation and use our experience. The more experience we have, the more we can refer back into the storehouse of the mind. • We can also ask lots of questions and use questionnaires; and based on that information, we can adjust the practices, be flexible, and gauge the flexibility of the students. We can use optional complexity – give students a range of instructions, so that each one can go as far as they want to go. • It is often good to have two or three strands of teaching going on simultaneously. For example, one group can breathe in and out with breath retention in Nadi Shodhana, while another group will be doing something else. For someone with high blood pressure, focus on relaxation, not retention; and to someone with back pain, he or she may be made to lie down. It is like a concert, with multiple levels operating simultaneously. It is not until we can do those things simultaneously that we get our sense of enjoyment, and that’s when we lift ourselves to another level of teaching. • Teachers have to be very clear about how to create boundaries in the room, and then allow spaciousness and creativity to develop. When the structures are formed, spaciousness can evolve in a contained way, which allows the process of teaching to grow. How do we create a safe place? What practices can we do safely? What is problematic? What exacerbates or improves a situation? How much attention can we give to one person? What does it mean to help someone? Do we have to accept everybody who comes into our class? No. Be ready to refer students on. This can be extremely useful to students. These are important issues for a balanced class. If in doubt, don’t! • Teachers have to develop the capacity to feel and sense the tone of the whole room. This comes through our own Meditative practice, and development of our awareness of the space element. The moment we enter a room, we feel the tone, which will tell us what is going to happen, and how we need to adjust. We will feel the dark spots in the room and our own neediness, if we are intuitive and develop that receptivity. We can only know the dark spots outside, when we have looked at our own dark spots. • We have to be aware of each student in the room. Every student we are not aware of is a potential problem. Trust your intuition and your senses. The concept of transference and counter transference is very important. Often feelings will come up in relationship with a student that is provocative. It doesn’t always come from us, but from chemistry between us and another person. So, the object of the game is to be aware that the feeling is simply arising in the moment. It is not a reality. It is valuable information for dealing with those people. Transference is when someone brings into the room some type of projection (usually unconscious), e.g. related to power or anxiety, or sexual, and we feel provoked, scared, aggressive, anxious, or aroused, etc. – in response. It is not overwhelming, but it is a tone within our system, and our body is responding to the other person’s projection. Our capacity, as a teacher, to be aware of that energy as it arises, makes us better equipped to relate at every level. • As a teacher, remember that there is nothing to be scared of. Be prepared for everything, because anything can happen. In dealing with what does happen – be spontaneous, creative, and aware. These are the principles we need to apply in our Yoga practices. It is how we apply the Yoga techniques that counts. It is our capacity to come into the room, carrying this energy, not being scared, but ready, that makes everything that arises, a wonderful challenge. We can be spontaneous, creative, and aware, and try to find ways to utilize the techniques, in dealing with situations. 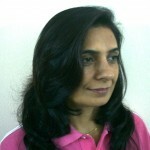 • It is very important and useful to ask oneself as to what my responsibilities are as a teacher. Do we feel that we become over-responsible; that we should be doing more and giving more, that if something is not going right, it must be our fault? We are taking it on ourselves. This is a big issue we have to face, as a teacher, therapist, or counselor. We need to look after ourselves and make sure that we are very self-responsible, and be very aware that the students have to be self-responsible, as well. That takes the load off us, and then the teaching begins. Until then, we are parenting, or we are caught up in some other unconscious relationship dynamic. • The more we can encourage people to develop their own skills, the better. Then, we can support them in what is happening. 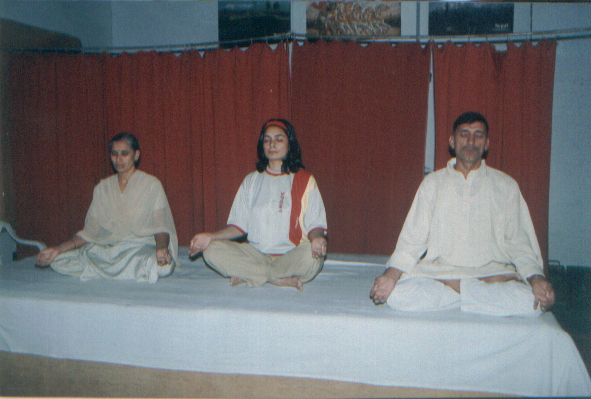 The techniques are the tools that allow Yoga to grow within the person. Allowing others to be themselves, means encouraging autonomy, teaching the practice, allowing the person to feel the result, and respecting the person’s intelligence. • Modify, be creative, and don’t always feel that you have to live up to the expectations of the authority. When we are in relationship with a school, or a teaching, or an authority, we tend to feel that we have to live up to the expectations of that authority; and if we can, we do. However, a healthy authority respects the creativity that we bring to the moment. It comes back to being relaxed. Be relaxed and have fun: the more fun, bliss, and enjoyment – the better. Of course, there are times when we are in dark spots, we are trying to get a person out of the dark spotand into the fun, into the joy of living, to find the positive. Deal with the negative, but focus on the positive. Teachers need to know their own nature and capacity, their own Karma. What is the deck of cards we have been dealt in this life? Accept yourself, have confidence in yourself, and in your knowledge – gained through rigorous study, be aware of your preferences, and have a Sankalpa. We need to embody the Yoga practices and teachings, and the fundamental principles of Dharma and respect, for ourselves and others. Training in psychology, peer support, and faith in the teachings will help do the work. A thorough training in Yoga is important.